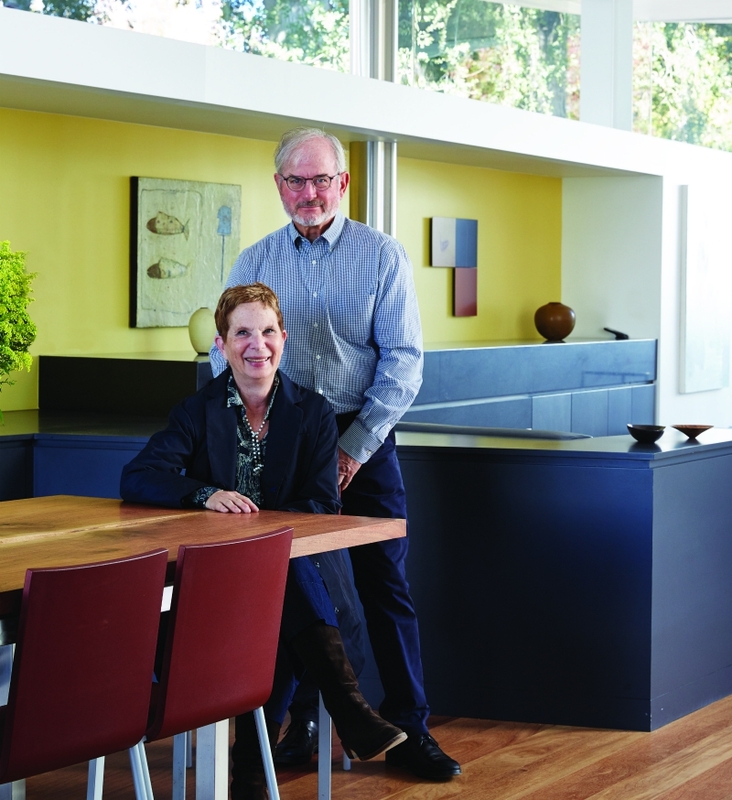 One of the first things that Elisa and Eric Callow did upon buying a traditional saltbox-style house in Altadena was to consult with a local expert: They knew the house had structural problems, but if it had any historical significance, they wouldn’t move forward with plans to replace it with a contemporary structure. 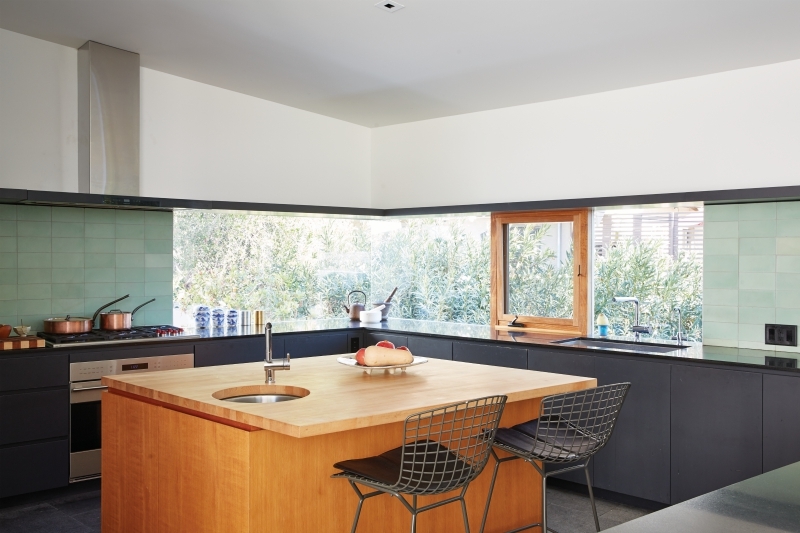 Once they were assured the older neighborhood wouldn’t be losing a landmark, they met with longtime L.A. architect Rick Corsini and outlined their desires: They wanted visitors to enter through a walled courtyard and the door placed to the side of a window into the main room. 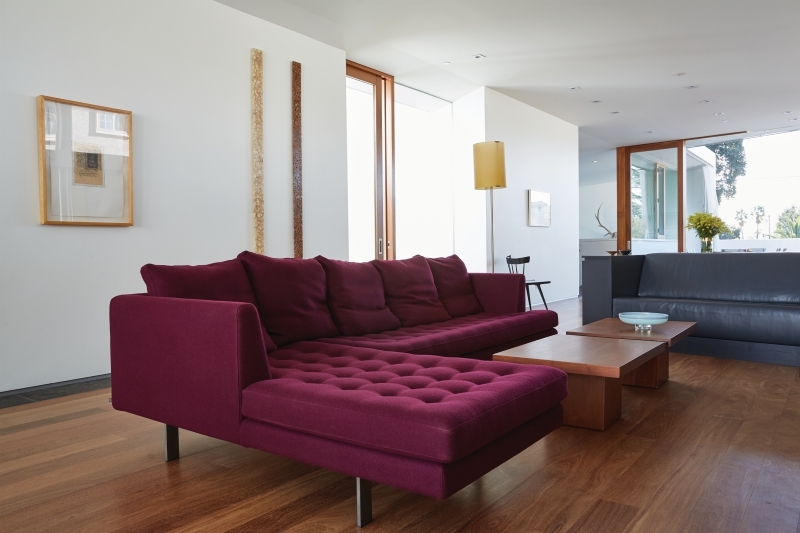 They asked for nontraditional materials, which ended up being basalt stone and cumaru wood. 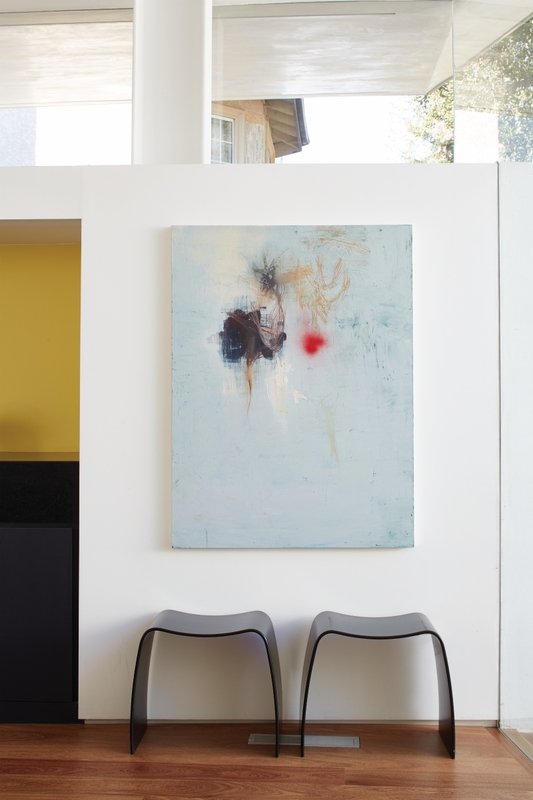 Walls that accentuated their large art collection were a must. Elisa had been introduced to contemporary art as a child (her mother was an artist), and her passion for it ran deep. Since serving as the founding director of the Armory Center for the Arts in Pasadena in the early 1980s, she has worked as a strategic planning consultant for a number of cultural institutions ranging from the San Francisco Symphony to L.A.’s Natural History Museum. Elisa has a history with local architecture as well: She grew up in a Gregory Ain complex in Silver Lake, which left a lasting impression. As a single parent, she raised her daughter in a vintage Spanish Colonial Revival home in Pasadena that included a Batchelder fireplace. 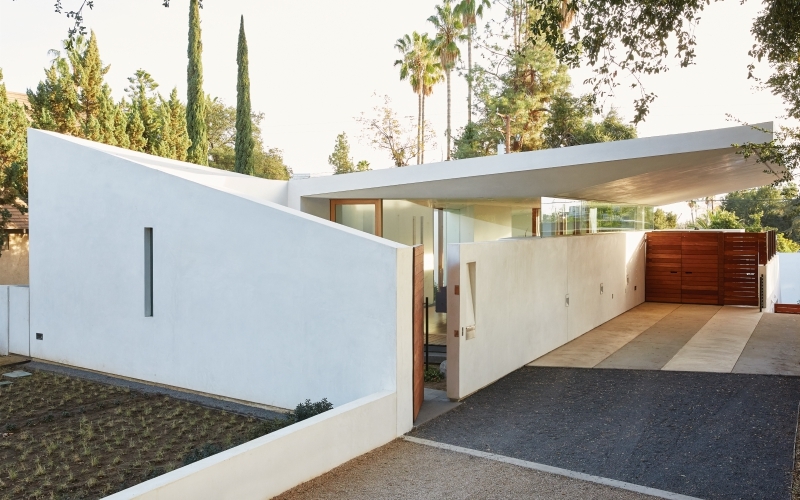 After she and Eric got engaged, they purchased the Lloyd Wright-designed Gainsburg House in La Cañada Flintridge for their blended family, hiring Corsini for the restoration. Previous articleThe Secret Life of a Camera Girl in 1950s L.A.